Ben Brown has long been lauded for his work off the field, championing a myriad of good causes in his time at Arden Street. 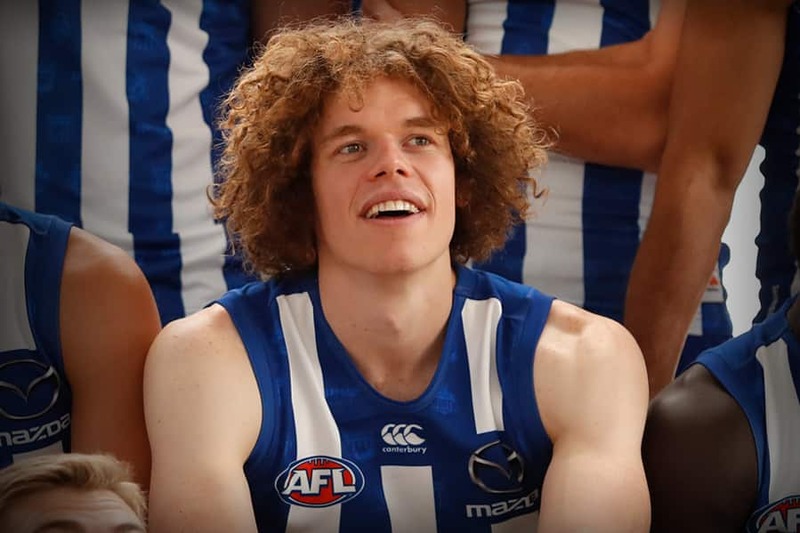 Ahead of his looming 100 game milestone this weekend, the focal point of North Melbourne’s forward six continues to champion change in the community. “I try to use my profile to influence the change that I want to see in the world and in the community around me,” Brown told North Media. “I’m very fortunate that I’ve got a platform. I look to live by the values that I’ve set for myself and that’s why I take the opportunity to try and do some good with it. “It helps keep me grounded in a way. It’s really just doing what I think will make a positive change and do good. Despite the demands that come with being a professional athlete and a recent father, Brown remains at the forefront of innovation for North. This includes his involvement in launching the club’s Gender Equality Action Plan, while also being an unpaid ambassador for Our Watch, a national program to prevent violence against women and their children. The 26-year-old credits the balance that working for North's not for profit arm, The Huddle, provides as one of many drivers to continue striving for change. “I think community and football are really connected,” he explained. “The work that The Huddle does with asylum seekers and migrant kids who really need assistance and help is amazing. “A massive part of the ‘why?’ behind North Melbourne is the community aspect of the club and what we’re doing to improve the lives of people who really need it. “I feel very thankful that I landed here, it’s something that our club really values. It’s something that our players really value too. “The great thing about being a North Melbourne person is the community aspect and the community aspect of the whole football club. “That’s a club that I want to be a part of and it’s a club that our members and fans want to be a part of too. That’s where I think it links back to football. Among Brown’s recent pursuits is his work with North’s AFLW team in an expanded competition this year. “Integrating an AFLW team into our club is one of my proudest moments,” he said. “There’s that real feeling of belonging that comes with being at North Melbourne. I’m proud of my teammates, who have overwhelmingly treated the girls with respect and care. “I think that starts with the football club having the facilities and those related aspects. It was really clear to see that the female players were regarded on the same level.